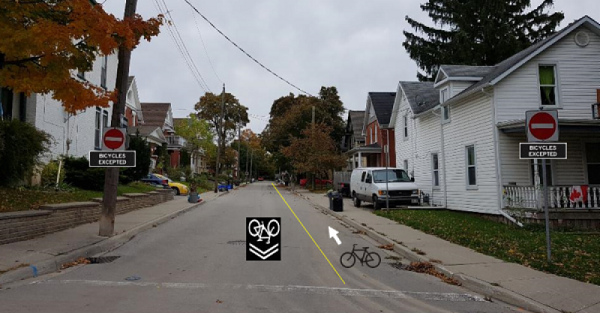 Our neighbourhood is located in Kitchener’s city centre and is a great blend of heritage homes, vertical residences, arts & culture, commercial operations, and beautiful green spaces. All within walking distance of the heart of downtown Kitchener and activities for everyone including music festivals; the Museum; Farmers Market; Carl Zehr Square featuring winter ice skating, Christkindl market, art in the Rotunda, Maker’s Fair to name a few. A true live and work community with many tech businesses; small proprietors offering art, food, indie coffee shops (yay! ); and many transit options. 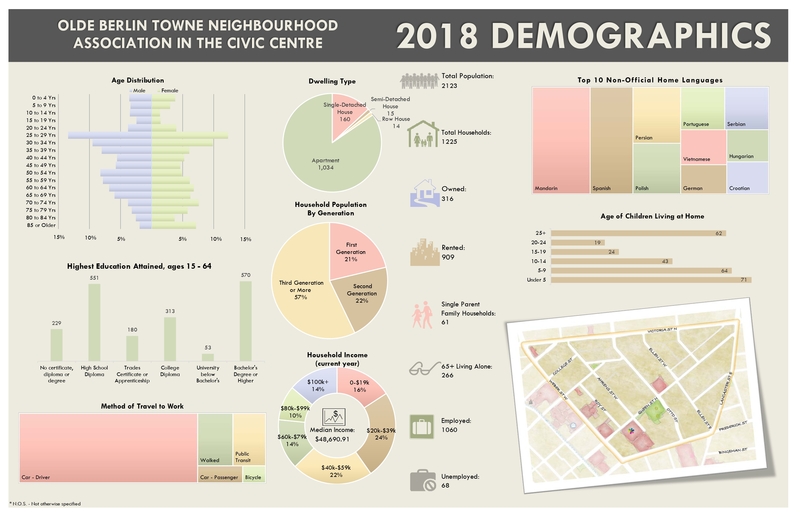 Our community activity hub is at the Downtown Community Centre and there’s plenty to do year round for all ages, as well as being the meeting place for neighbourhood association meetings. You are invited to attend and volunteer, or just meet your neighbours. 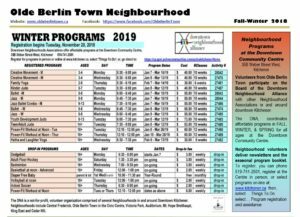 Check out the Downtown Community Centre Guide for upcoming programs and follow us on social media for notice of upcoming neighbourhood association meetings and events. Links to Community Resources and Schools are provided for those living and relocating to the neighbourhood. Olde Berlin Town Neighbourhood boundaries are nearly the same as the Civic Centre Heritage Conservation District. Property owners can contact the Heritage Planner at the City of Kitchener with their questions. 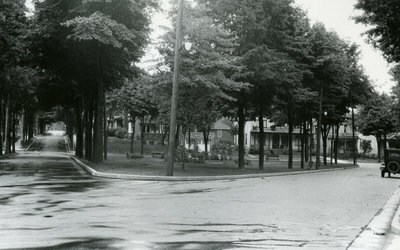 If you would like to learn about the many heritage homes in the neighbourhood and the history of Berlin (Kitchener), see the the Heritage & History area on the website, or check out the self-guided tour of the Civic Centre available from the City of Kitchener. From time to time there are architectural walking tours, and consider participating in an annual Jane’s Walk of the area. Be sure to use the hashtag #oldeberlintown when sharing your photos & posts! If you would like to submit an article to the newsletter or a post for the website, please send your submission to writeus at the oldeberlintown.ca domain. We currently print and distribute approximately 500 newsletters per issue.